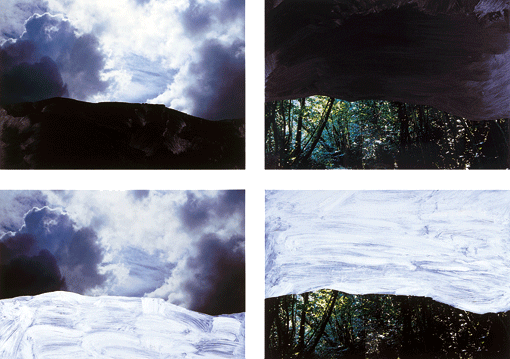 the mountains form Galicia are trasfered to the Breton woods. 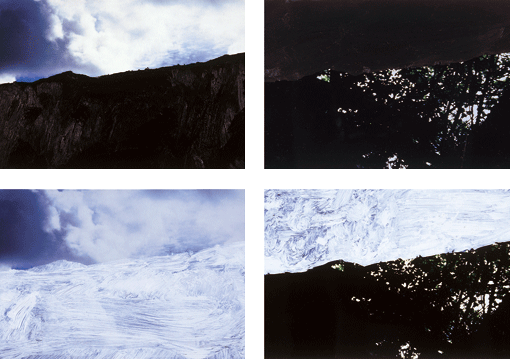 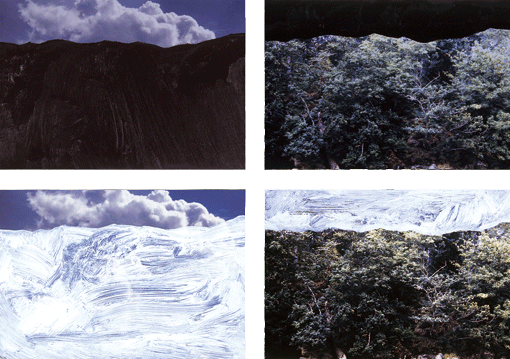 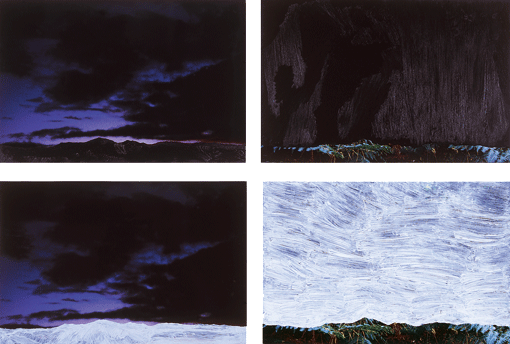 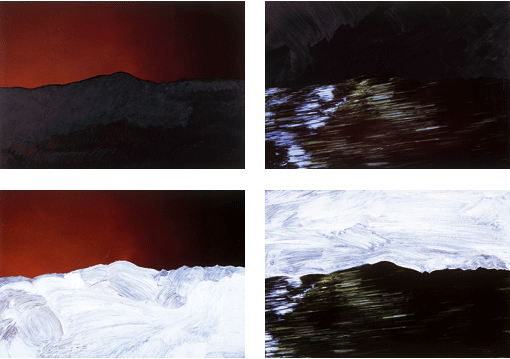 the pictures photographed twice are painted, in order to obtain “twilight”, “night”, “snow” and “day” effects of a unique scene. 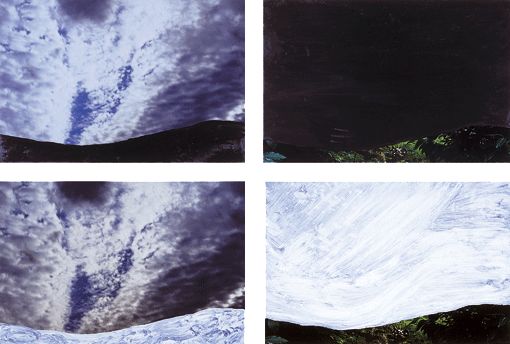 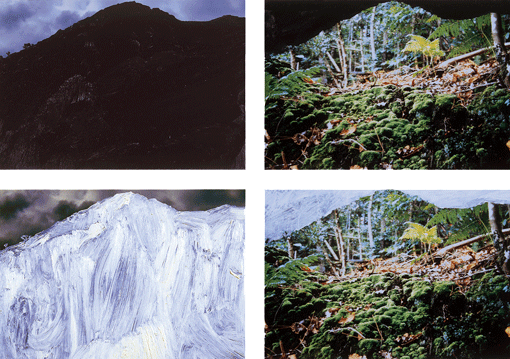 the progressive ascent of the mountains on the painting surface, is following the division in 7 parts made in the vertical side of each photo of the sky.